Broccoli and other cruciferous vegetables including cauliflower, brussels sprouts, cabbage, turnip greens and kale are rich in antioxidants, which help protect against both cancer and heart disease.The cancer protective effects may be due to the Indole-3 carbinol, the carotenoid pigments, vitamin C, or sulforaphane acting together. 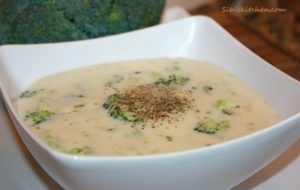 Never microwave these cruciferous vegetables. Either stir fry or steam them. 1.Heat a frying pan with olive oil. Saute onions and garlic for few minutes. 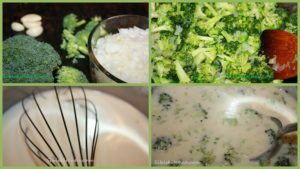 2.Add the broccoli florets,salt and pepper.Stir fry for about 3 to 4 minutes. 3.Heat a large saucepan and melt butter.Add all purpose flour and keep stirring with a steel whisk. Add milk and stir it constantly to avoid lumps. 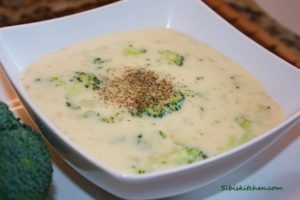 4.When milk mixture thickens to a white saucy cream, add vegetable stock cube and hot water. 5.Let it simmer by stirring occasionally until it boils. 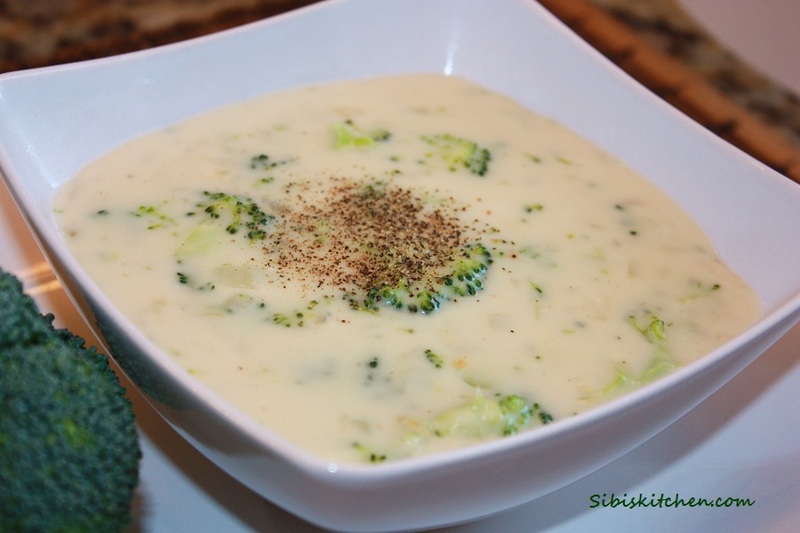 6.Add the stir fried broccoli and cheddar cheese to the creamy soup and simmer for couple of minutes. 7. Serve hot with a dash of freshly ground pepper.